For many expecting mothers, childbirth carries a fear of the unknown that can be quite intimidating. Having a simple understanding of the process of labor and delivery and your options in each step can be very helpful in preparation for the birth of your child. Contrary to Hollywood depictions, labor does not often start suddenly or progress rapidly. You might find yourself having "Braxton-Hicks" contractions as early as weeks before labor actually begins. If you are wondering whether it is the real thing, try lying down and resting, taking a bath or shower, or drinking some water. In early labor, the mother can usually still talk through contractions and may be excited or anxious. Usually, practitioners want to see you if contractions are 5 minutes apart or closer for an hour or more, but early labor can continue for hours before becoming active. Playing a game, watching a movie or baking a birthday cake for baby will help you to allow labor to continue unimpeded without becoming too focused on those early contractions. At about 4 or 5 centimeters dilated labor is deemed "active" and usually becomes more intense. It may become difficult to talk through contractions, and her demeanor will likely become more serious and focused. Walking can help to move the baby down and into a good position, as well as squatting or sitting on a birthing ball. Some mothers may just want to relax and focus on each contraction. Water and ice are important during this stage; the ACOG* has an official policy to allow juices and other fluids, as well. Before labor begins, it helps to have a plan in place for pain management. Natural birthing programs include HypnoBirthing, the Bradley Method, and Lamaze. Even without a class or training, pain management can be assisted with deep breathing and focus, relaxing music, massages, heat or pressure, water submersion and relaxation. If you plan to use medication, you will want to know how late into labor those options are available at your birthing facility. Once the cervix is fully dilated- 10 centimeters- the baby will be able to move through the cervix and the pushing stage will begin. This intense phase is frequently described as both a relief and incredibly hard work. Upright birthing positions open the pelvis more than positions flat on your back, but they may not be possible under an epidural. Your practitioner will be able to discuss these options with you so that you can have an idea of what to expect. Pushing lasts about 2 hours on average for a first time mom but can be longer or shorter and still be in the range of normal. Although episiotomies are not regularly a routine procedure anymore*, you will want to know whether they are routine for your physician. Under normal circumstances, the baby can be placed on the mother's chest as soon as he or she emerges. Of course, there are situations that may prevent this. Your practitioner can walk you through these scenarios. 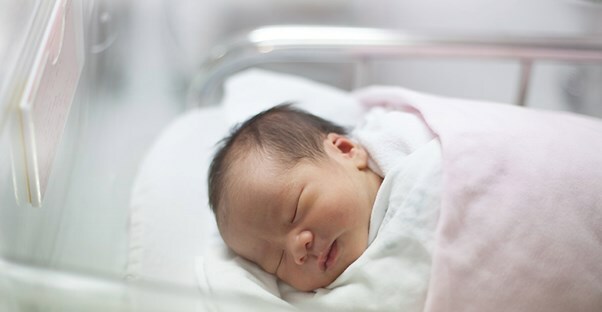 There are a number of options that you have immediately after birth, as well, including when to cut the cord and who will do it, how quickly you will breastfeed the baby, when bathing will occur and where baby will stay. In any case, the hard work of labor will be behind you and it will be time to get to know your new little one.